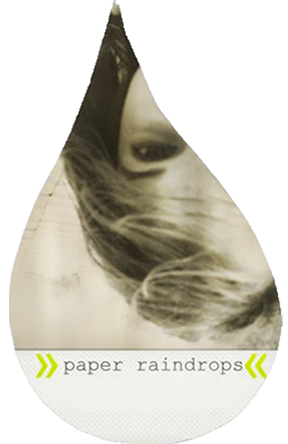 Paper Raindrops: The most epic garbage can you ever did see. 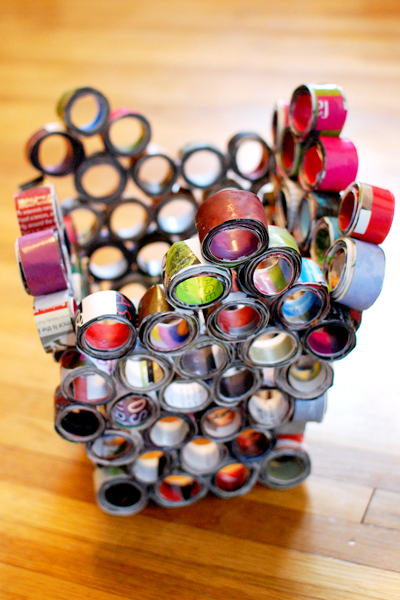 What do you get when you cut magazines into strips, and glue the strips into circles? 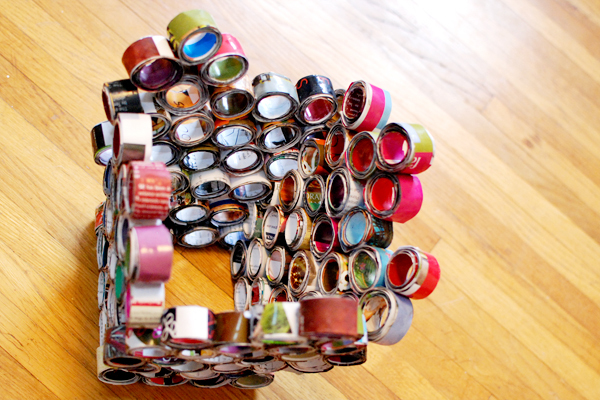 Lots and lots of circles, which you then glue together? I was rather too lazy to put in a bottom, but hey. Who needs a bottom if you put a bag in it?? I had some fun picking the bits of magazine that would show. For example, my mom is an editor for a magazine in town, and therefore she gets her pic in it. 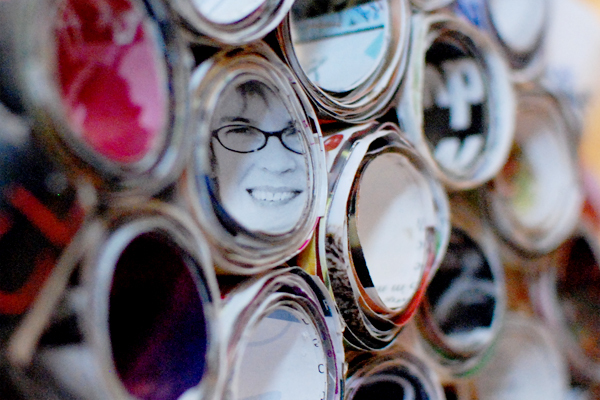 So I made sure to use a piece of magazine with my mom on it! She still hasn't decided if it's a complement or not to be in my epic garbage can. I also took the opportunity to put in a cool memory. Extreme Makeover: Home Edition came to our town a while back, and I got to walk over and watch the progress almost every day. 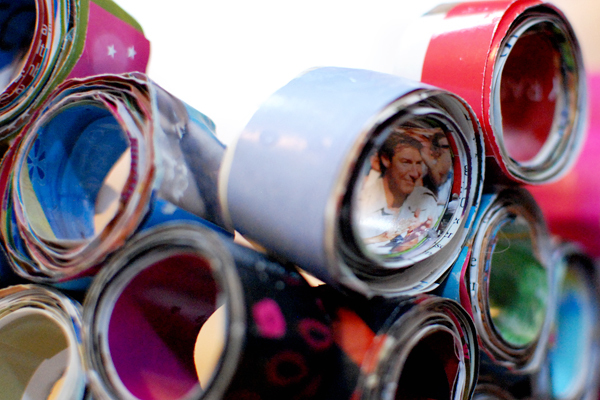 And I managed to take some pics of the family and Ty Pennington. 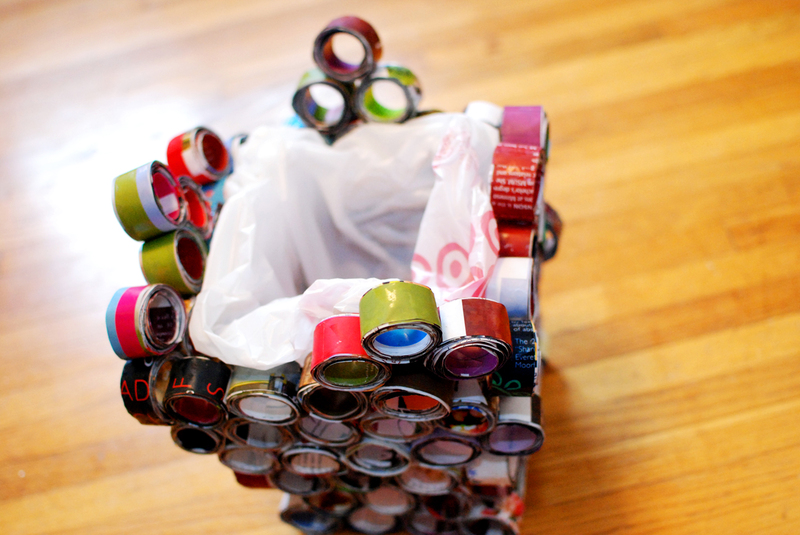 So there it is; "my garbage can made out of garbage." Ok, so magazines aren't zactly garbage, but hey. Close enough, right? Wow. I not only made it in your garbage can, I made it into your blog! Now I feel better. What a marvelously elegant way of asking your mother please take out the garbage, because to be quite fank you're rather busy with a blog post at the moment! I hope this is the reason you weren't emailing me?! I love this!! It is fantastic. I LOVE YOUR TRASHCAN! Heh, bet that's something you don't hear every day!